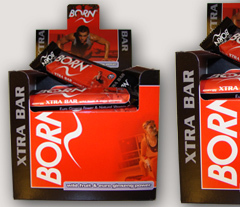 Xtra Bar-Fantastic taste full of goodness and natural ingredients, I have tasted many nutrition bars as I participate in many sporting events. Probably the best tasting bar on the market. 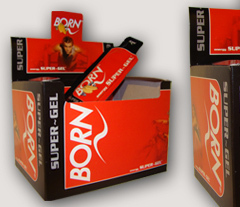 Super Gel-High performance Gel that comes in different flavours, if you are reading this review you have probably tasted these gels before, not the nicest things, but they do the job, I tried the banana and strawberry and was very impressed. I took them continuously for 4 days, after a full days work I need a boost of energy before going in the gym, this combined with BORN Isotonic drink really made a difference to my overall performance. It’s taste was obviously very sweet but very pleasant I have tasted some vile gels to the point of spitting them out, overall very impressed. I will definitely use these products in the future and would recommend them to anybody.